Rugby's Versa Rack Cargo Body gives you the ultimate versatility in stake rack bodies! 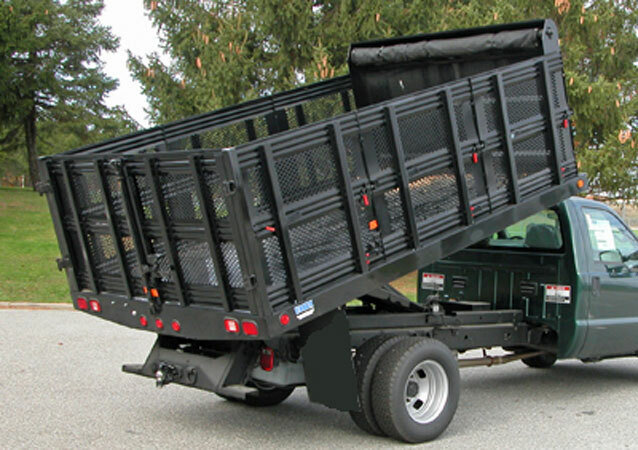 Removable heavy duty 16 gauge steel 42" high side and rear panels (vented or solid) are reinforced with built-in corrugated ribs. 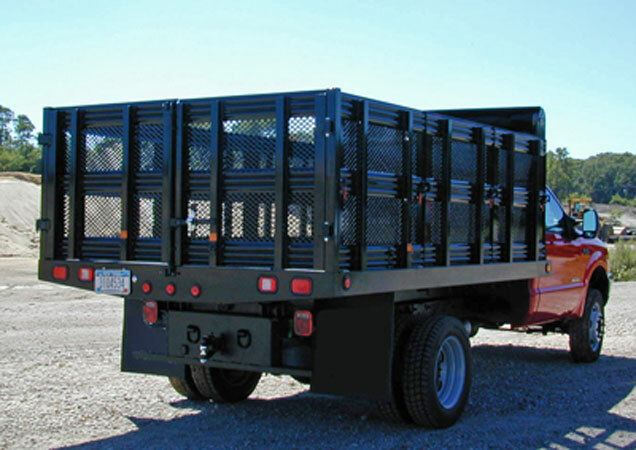 Other features include swing-out rear barn door gates, and a front 14-gauge steel 53" bulkhead that is prefabricated for a roll tarp cover. 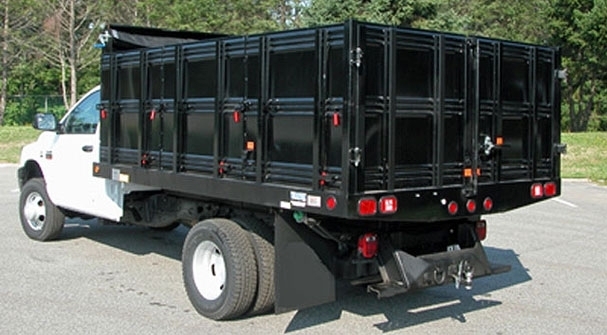 Side and rear panels are vented 16-gauge steel corrugated for extra strength. Stake posts are on 24" centers. 42" tall panels come in 4, 5, or 6-foot sections depending on body strength. 42" rear doors are vented 16-gauge barn door style swing out gates with greasable hinges. Body includes barn door holdbacks. Easy access to all latches from ground level. Front panels are 53" high made of 14-gauge steel, corrugated for extra strength. Size 9' and 12' have 7-gauge by 5" long sills, these are interlaced construction. Sizes 14' and 16' have 6" structural channel long sills, these are stacked construction. Cross sill are 4" formed 10-gauge material and spaced 16" apart. All platform decking is 10-gauge.